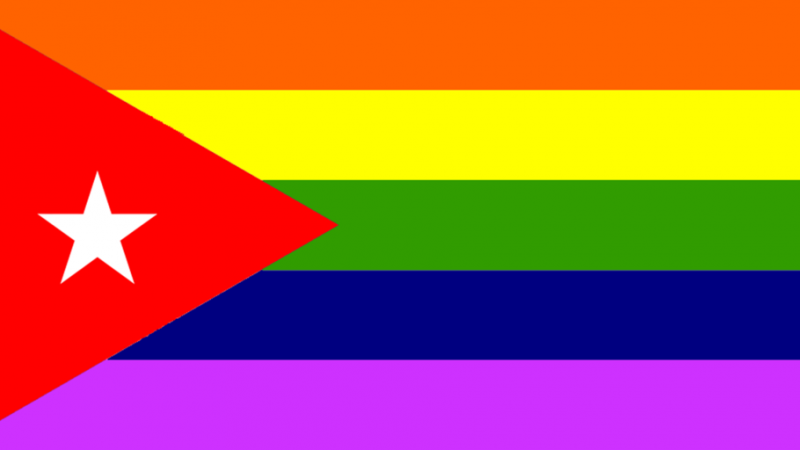 “LGBT Flag of Cuba.” Licensed under the Creative Commons Attribution-Share Alike 4.0 International license. Based on the Yogyakarta principles on the application of international human rights law in relation to sexual orientation and gender identity, in the Declaration of Sexual Rights of the World Association for Sexual Health (WAS) and due to the upcoming constitutional and legal reforms in Cuba, members of the Cuban LGBTIQ community have met to promote this agenda. The document begins by considering that sexual orientation and gender identity are inherent to human dignity. The goal is not only for the text to work as a collective statement but also as a proposal that contributors can continue to feed with ideas and suggestions. The text also proposes specific lines of action that can be used as a starting point for research and for developing public policies, as Isbel Díaz Torres explains in Havana Times. The agenda is the first of its kind in Cuba, compiled entirely by members of the public and focuses on the rights of LGTBIQ people. In addition, it includes 63 specific demands and is divided into two large sections: legislative measures and policies, plans and strategies. Cuban film director Yaíma Pardo set an important precedent with the demands collected in her documentary Causas y Azares (Causes and Chances, subtitles in English available). Another precedent was the text written by activist and blogger Alberto Roque. The documentary highlights numerous analyses regarding the current state of the LGBTQI community's rights in Cuba and the ideological and institutional changes necessary to ensure their full exercise. Regrettably, the Socialist social project inherited that discrimination, those false concepts, that ignorance regarding human sexuality; and in Cuba's case, it has taken too long, to my liking, to face that reality and transform it. Marxism appeared in the West and was a philosophical [construct made by] a white man. It does not recognize the diversity of sexualities or identities that people carry with them as part of their culture. Not everything has to do with the classist struggle. Each social class has a bunch of cultural, sexual, work and artistic identities. Recognizing that is what allows the policies [created] to emancipate people to truly serve the people and not the [State's] ideals regarding people … [that's where] Socialism has failed so far. The Agenda for LGBTIQ rights in Cuba promotes a broad and inclusive debate on human rights and requests that their demands be considered by the National Assembly of People's Power, the Council of Ministers and those who make policies, plans and strategies in Cuba.